Design a responsive website - There are numerous advantages to having your website designer design a responsive website. A responsive website is designed so that it morphs and scales to be optimally viewed with easy reading and navigation on any size screen or device. A responsive website can be viewed on any desktop, tablet, or phone by morphing to fit the web device using a minimum of resizing, scrolling or panning. When website designers design a responsive website, the responsive website design adapts the web site layout to the device viewing it by using a fluid, proportion-based grid system with flexible images, and CSS3 media queries based on device viewing width. The CSS3 media queries allows responsive web pages to use different CSS style rules based on the size of the device the web site is being displayed on. By using media queries this also helps to increase faster load times for web site over cellular networks, in addition to delivering more functionality and usability for mobile web users while avoiding most of the pitfalls of device-side-only solutions, and unlike most device-side-only solutions only one version of the website is required to be maintained, there isn't separate "mobile" website. A responsive website design is a single website that works on multiple devices - from desktops to tablets to phones. A responsive website design offers mobile users more functionality, usability, and faster load times. A responsive website is a single website optimized for each device, there's no need to maintain a separate mobile website. Midnite's can design a responsive website for almost any type of website, including CMS (content management system) websites, brochure websites, corporate websites, ecommerce websites, social media websites, portfolio websites, and more. 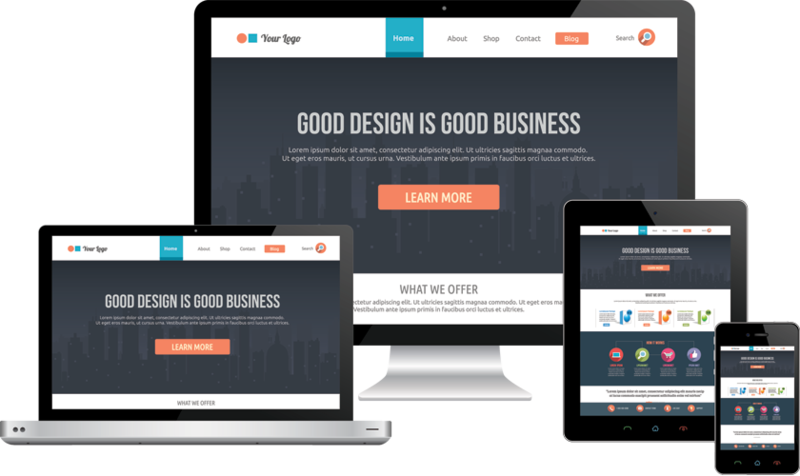 Like your current website and just want it to be a responsive website? We can make any website responsive. Almost any existing website can be converted into a responsive website design while keeping the look and layout of your current website on a desktop screen but making the site responsive and able to morph when viewed on tablets and phones. In most cases, the process of converting your site to a responsive website would also upgraded it to an easy to use content management system.